DUBAI, United Arab Emirates — Saudi Arabia's sovereign wealth fund invested more than $1 billion Monday in a Silicon Valley electric car maker just weeks after Tesla CEO Elon Musk earlier claimed the kingdom would help his own firm go private. Tesla stock dropped briefly Monday in reaction to the news, the same day that the Saudi fund announced it had taken its first loan, an $11 billion borrowing from global banks as it tries to expand its investments. It wasn't clear if that loan money played a part in the electric-car investment. The infusion represents a coup for Lucid Motors, a Newark, California, startup whose leadership includes six former Tesla executives, including an engineer who oversaw the design of the Tesla Model S that proved electric cars could be aesthetically pleasing and fast, in addition to reducing air pollution. The electric-car investment is a bold move for Saudi Arabia, an ultraconservative kingdom that for decades has relied on its oil wealth as the world's top crude exporter but now appears determined to build a more diversified portfolio to lessen its dependence on fossil fuels. But previous splashy market-moving promises by the kingdom's assertive Crown Prince Mohammed bin Salman have yet to materialize. Lucid is depending on the Saudi money to help realize its goal of delivering its first vehicle, the Lucid Air, in 2020. Besides helping to put the final touches on the Air model, Lucid plans to use the money to finish the construction of its Casa Grande, Arizona factory, where it has pledged to employ 2,000 workers by 2022, at which point it aims to be manufacturing 130,000 vehicles annually. The Lucid Air will sell at a starting price of $52,500, although the initial batch of vehicles will cost more than $100,000, according to the company. The vehicle will have a battery range of 240 miles to 400 miles per charge, depending on what kind of extras are ordered. It is being designed in the mold of a jet for carrying executives, with more room in the interior cabin than cars powered by gas combustion engines. Lucid Air is supposed to fast; in early tests on tracks, it has topped 200 miles per hour, according to the company. "We will demonstrate the full potential of the electric-connected vehicle in order to push the industry forward," said Peter Rawlinson, Lucid's chief technology officer and former the lead engineer of the Tesla Model S.
This is by far the biggest investment in Lucid, putting Saudi Arabia in the firm's driver seat. Three previous venture funding rounds have netted Lucid Motors some $131 million, according to the business information website crunchbase.com. Lucid's deal is being struck a few weeks after Musk tweeted that he had "funding secured" to take Tesla private as part of negotiations that he later revealed involved Saudi Arabia. Investors pushed Tesla's shares up 11 percent in the hours after Musk's August 7 tweet about the potential buyout, boosting its valuation by $6 billion. Musk later said the Saudi Public Investment Fund would be investing in the firm, something Saudi officials never commented on. The chatter died down after Musk announced on Aug. 24 said Tesla would remain publicly traded. 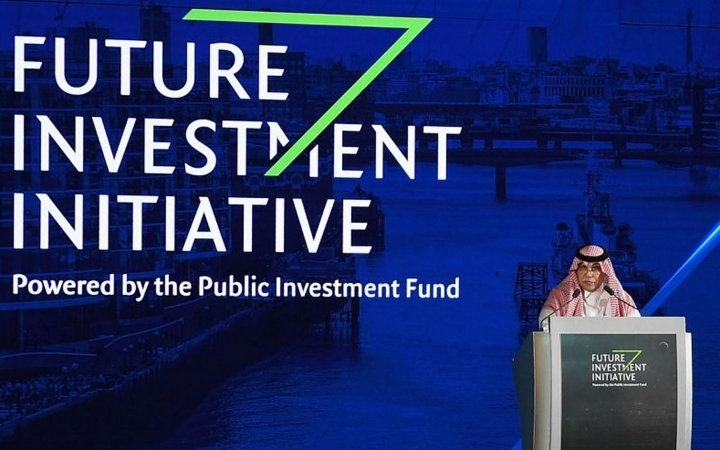 The Financial Times newspaper previously reported that the Saudi sovereign wealth fund, known by the acronym PIF, had secured a near 5-percent stake in Tesla recently. On Monday, Tesla stock fell as much as 2 percent before rebounding to close at $294.84, down by just 36 cents. The Las Vegas-based Sovereign Wealth Fund Institute estimates the Saudi fund has holdings of $250 billion. Those include a $3.5 billion stake in the ride-sharing app Uber. The $11 billion loan allows it to make further investments without divesting from its other holdings. 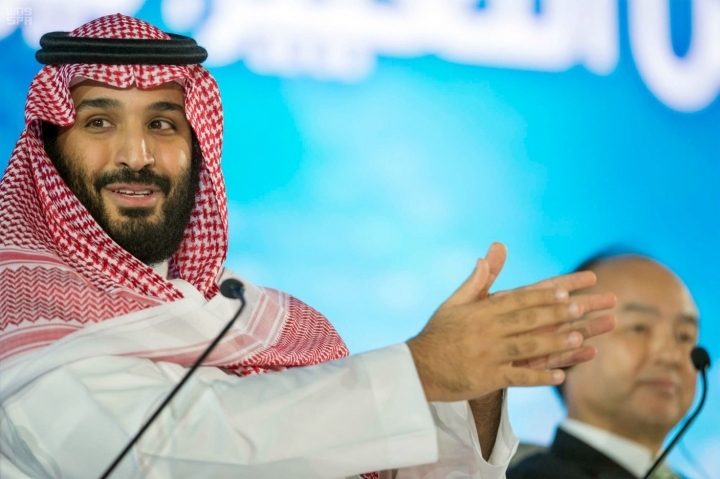 Saudi Arabia's 33-year-old Crown Prince Mohammed bin Salman, whose father is King Salman, has talked about using the PIF to help diversify the economy of the kingdom, which relies almost entirely on money made from its oil sales. However, other business promises made by the crown prince have yet to come to fruition. The most notable is his January 2016 pledge for an initial public offering of the state-run oil behemoth Saudi Aramco. 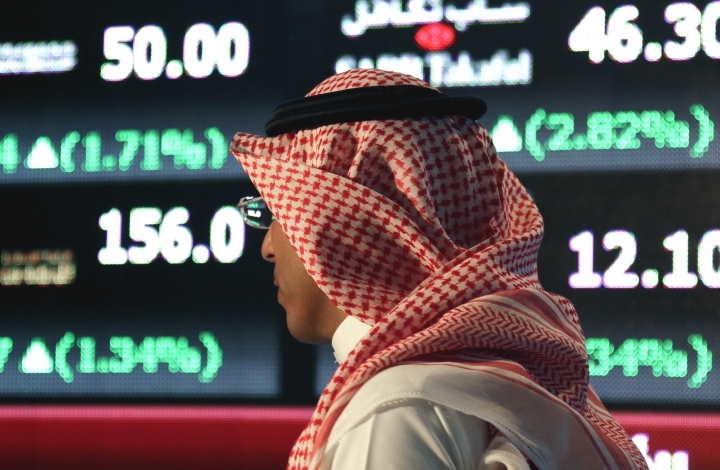 Officials have suggested the Saudi Arabian Oil Co. could have a valuation of $2 trillion. In comparison, Apple in August became the world's first publicly traded company to be valued at $1 trillion. But analysts have offered far lower valuations for Aramco and multiple delays have struck the project since. In August, Saudi Energy Minister Khalid al-Falih said the kingdom "committed to the IPO of Saudi Aramco at a time of its own choosing when conditions are optimum." Associated Press writers Tom Krisher in Detroit and Michael Liedtke in San Francisco contributed to this report.